Mouse exclusion, trapping and control experts have got this down to a science. 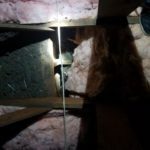 so if there are sounds in the attic and the crawl space, there may be more than one problem. Noises in the attic might also be Bats,rats,mice or squirrels. The time when they are active will be a clue. Squirrels are active during the day.Bat, Mice and rats are usually active at night. After all the damaged insulaton,food sources,nests,rats mice dropping are removed,clean up and sanitized.Eastside pest control exterminators take some time to inspect the exterior of your house looking for any potential entry point. It may be a small opening that seems harmless or something larger. Particularly, pay attention to cracks, openings around wiring or pipes, and garage and other doors providing access to interior areas.Finding potentially enter mice entry points to block . A mouse only needs an opening the size of a dime to enter your home. 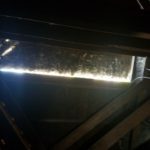 When inspecting upstairs, be sure to check the roof. Trim any tree limbs that are hanging over the house. 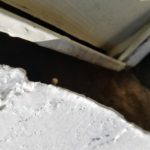 Rodent damaged Crawl space insulation is removed by cutting the twine, removing slats or wood laths, or removing the tension wires which were holding the insulation in place, pulling down any remaining insulation, bagging it, and then removing it from underneath your home. 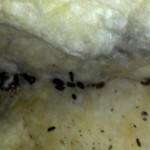 All materials removed by Eastside pest control Insulation are properly disposed of at a local transfer station. Start saving money today with a crawlspace and attic that is clean and properly insulated for our Northwest Climate.